e-mail : SEND ONE E MAIL ONLY. Note : We are online 24/7/365 for trade. We answer all our e mails within a day – delay time from 1 – 10 hours due to high traffic. Free samples available you just pay for shipping and insurance we refund cost on first order over 199 euro. Regarding custom charges, check with your local office – mastihainfo@gmail.com Note : when sending e mails to us make sure you check your e mails fast do not DELAY, we are online 24/7/365. When delay to get an answer back from you, your e mail will be deleted the next day. We do not send out price catalog since we have special offers every week. Just tell us what you need and we’ll give you our best offer anywhere. Who pays for customs ? Generally, buyers pay additional costs such as duties, taxes, and customs clearance fees. International Buyers – Please Note: Import duties, taxes, and charges are not included in the item price or shipping cost. These charges are the buyer’s responsibility. Please check with your country’s customs office to determine what these additional costs will be. CUSTOMS : we can not be held responsible for customs with holding of products. uniqueness offers a variety of products, gaining the customers’ recognition and appreciation. Food, Cosmetics, Spirits, Dental Supplies, Health Supplements . . .
18/8/2016. 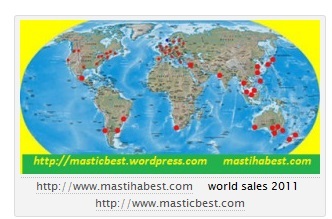 Turkish buyers are searching for poor quality mastic gum to place it in the world market – The product will be named Turkish mastic gum – dangerous for human use. 18/1/2016. 1 company in U.K. sells chemical mastic oil which has nothing to do with the real mastic oil. Real mastic oil is sold in grams never in ml – that’s how you can see/ tell the difference between the two, and the price. (Chemical Mastic Oil is sold at 200 euro per kilogram). 22/2/2015. August 10th, 2010. 3 companies in Turkey misinform the world that ” mastic is a natural gum dropping from mastic tree. This tree only grows in Cesme / Izmir Turkey this gum gives a special taste.” That’s a big lie. Mastic Gum = Chios Mastic Gum – Pistachia Lentiscus Var. Chia is the Real Name of the product. That’s what we are selling – – be very careful because the mix it with other substances and the sell it as Chios Mastic / Mastiha Gum . What is the actual price for the product they are selling above in red letters no more that 10 U.S. Dollars per kilo. In 1992 the European Union enacted 2081/92 regulation (substituted by 510/2006) for the protection of the designation of origin of the agricultural products. “ Protected designation of origin – PDO “ is the name of a specific region or in extraordinary cases the name of a country, which is used in the description of an agricultural product or a food originating from this specified location or country. The quality or the characteristics of the above are mainly or exclusively due to the geographical environment, including the natural and human factors and the production, alteration and process which take place in the delimited geographical area. Since 1997, Chios mastiha has been identified as Protected Designation of Origin product ( PDO ), subject to No.123/1997 Regulation ( L0224/24-1-97 ) of European Union and has been registered in the relevant community list of the PDO products. All protected designation of origin products bear the PDO mark. The PDO designation, for the agricultural products and food, allows to the growers to promote more easily these products and on the other hand it allows to the consumers to buy quality products, the production, process and origination of which are guaranteed. The registered names for the PDO products are protected against any direct or indirect commercial use of other products which do not comply with the special specifications (of the PDO products),as well as against any expropriation, imitation, insinuation, false or deceitful indication as far as it concerns the origin, derivation or nature of the product. Moreover, the registered names protect the products against any other practice able to misinform the public on the actual origin of the product. “Protected Geographical Indication – PGI “ is the name of a specific region or in extraordinary cases the name of a country, which is used in the description of an agricultural product or a food originating from this specified location or country. The quality, fame or other characteristic of the above is due to this geographical origin and the production and / or alteration and /or process of which take place in the delimited geographical area. grow only on the island of Chios Greece for thousands of years. We will keep you informed. July 15th, 2010. Look under the DENTAL category our new ORGANIC PHARMACY. New products are coming out sooner than planned so keep on visiting in order to be informed. July 14th, 2010. NEW – Bio Plants are under the ORGANIC category. July 9th, 2010. NEW – Mastiha After Shave Balsam. For MEN ONLY ! July 7th, 2010. This blog is in English and Greek language. Aυτό το μπλογκ ειναι και στα Ελληνικά. Medicinal Herbs – Medicinal herbs are nature’s healing gift to human kind. Herbs have been used medicinally throughout history by almost all the cultures of our world. But with the growth of mainstream medicine over the last 200 years, we have lost our deep connection with herbal remedies and we have lost the healthful balance that is the natural result of being in harmony with nature. Men skin care products are becoming more and more popular these days. Remember how they would always say, men and grooming do not go hand in hand? Well, that stuff they used to say does not hold true anymore. Men have just as much right as women to look good and feel good about themselves. Late September 2010. Is There Any Potential Danger in Using Herbs? Many health experts warn us about the potential dangers to our health of herbal medicines, pointing out that natural does not mean “safe”. This is, of course, very true. Natural does not mean that we can use any medicinal herb indiscriminately. We must respect the efficacy of these substances as we would any prescription medication. Natural simply means that, when used wisely, these herbs will work on human body in a harmonious way. They have the natural ability to help the body to heal illnesses and prevent possible diseases by strengthening the body’s own healing power. We need the introduction of some basic usage guidelines for herbs and herbal supplement products in order to eliminate any risk. While we might generally say that herbal medicines are safer than conventional drugs, we should still guard against any potential pitfalls by using these products wisely. July 3rd, 2010. The target of 90 000 visitors is something of the past, early this morning we reached 90 182 at 6:52 a.m.
. Our new target now is set at 100 000 visitors and a great surprise to all our customers WORLDWIDE is only a few thousands visitors away. 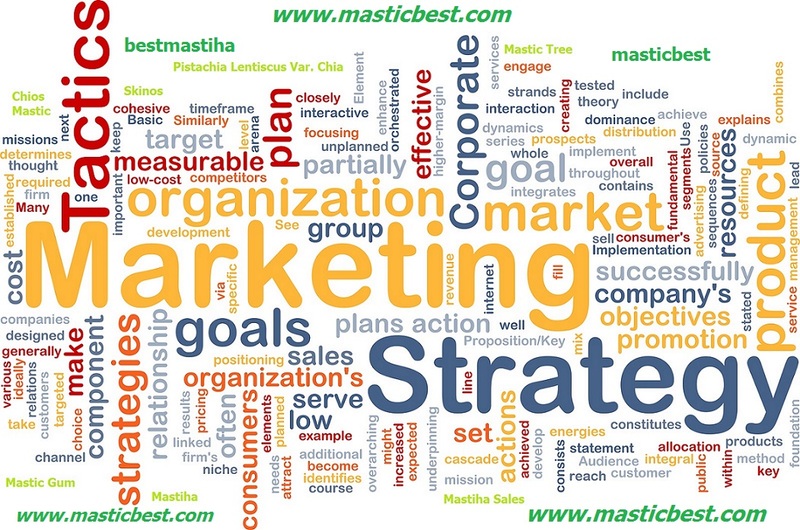 Keep visiting us for more news regarding MASTIHA and its products. July 2 nd, 2010 Look at our new Cosmetics Line under the Cosmetics title. On SALE now. June 28th, 2010. We are near our target of 80 000 visitors and we thank you once again, keep on visiting us again and again to be informed about our new products and special prices. June 26th, 2010. Our new Cosmetics Line in only a few days away from appearing to the world market. June 24th, 2010. We passed the target of 70 000 hits and our new target is set at 80 000 hits. The new hand cream will come out as planned on JULY 1st, 2010 – don’t forget to include it in your next order – for every order you’ll get 30% more product free. June 23rd, 2010. We are near the 70 000 hits and we have many new products coming out after July 1st, 2010. Like honey 100% Natural no additives, no heating at any stage of process, various blossoms, thyme, pine, reiki, chestnut, orange, lemon. June 22nd, 2010 The NEW COSMETICS LINE will come out soon – keep on visiting in order to be informed. June 12th, 2010 We want to inform you after the 50 000 visitors we will have different Discount coupons in different pages throughout our blog, so look for them and save. On your second order we return to you all expenses you have paid for the samples. Our next target point is 60 000 hits. June 10th, 2010 We are near the 50 000 target point for our company. We would like to inform you that we are able to send free samples to all our customers worldwide you just pay for shipping, handling and insurance. All orders over 100 euros get a 20% Discount till June 20th, 2010. 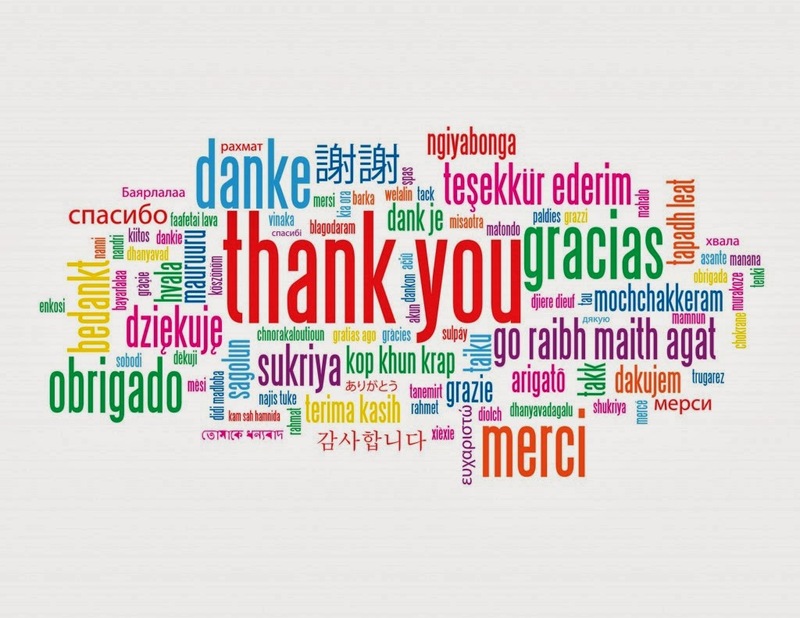 21 144 visitors and not only we thank them but also we offer them 20% Discount to all our products for the week of June 6th – June 12th, 2010. We will update this blog daily from now on so look for special announcements and special prices on all categories. Cosmetics NEW LINE – for KIDS, TEENS, WOMEN, MEN. We do not test our products on Animals. We test on ourselves. 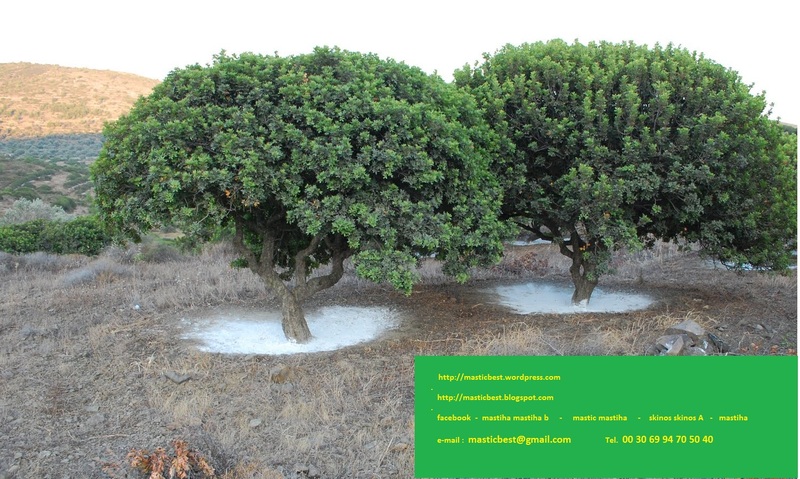 We are based in GREECE, and manufacture products with Fresh Mastiha (Mastic) AAA. We also market and sell our products ourselves. 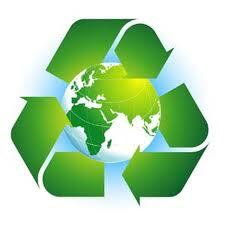 We also act as an importer / exporter for other companies. We have stock on hand and ship immediately. 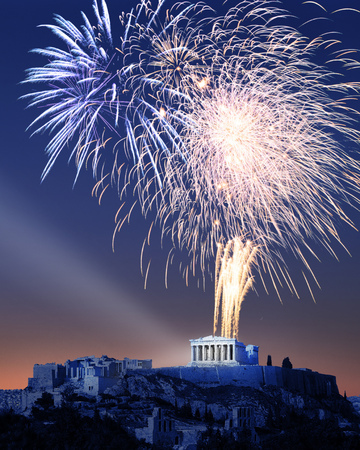 Our products are Made in Greece. Our company is Registered in Greece. 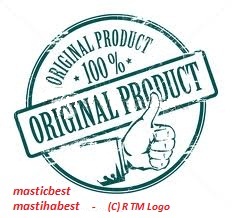 WE ARE FΙFTH GENERATION MASTIC GUM PRODUCERS, AND OUR AIM IS TO PROTECT THE PRODUCT named ” CHIOS MASTIC GUM / MASTIHA ” FROM ALL THOSE WHO THEIR AIM IS TO MAKE MONEY BY USING THE PRODUCT and its name but WITHOUT CARING ABOUT THE PRODUCT ITSELF. AS ANY PRODUCT IT COMES IN MANY SCALES OF QUALITY. WHEN WE SAY “MASTIHA AAA” WE MEAN THAT THE PRODUCT IS PRODUCED WITHOUT ANY FERTILIZERS OR ANY CHEMICALS IN ANY WAY AT ALL STAGES OF PRODUCTION FROM GETTING THE PRODUCT FROM THE TREE TILL THE TIME THAT THE CUSTOMER /BUYER HAS IT IN HIS HANDS. – KNOW HOW OF THE PRODUCT TAKES PLACE AT ALL STAGES IN ORDER FOR THE CUSTOMER / BUYER TO GET THE BEST QUALITY AT BEST PRICES.
. For more information write to us. *Laboratory analysis sheet and Material Safety Data Sheet are available upon request with ORDER ONLY. (Free Samples Available you just pay for insurance, packaging and handling) Shippment is 100% safe. We Ship products 7 days a week, 365 days a year. Prices Vary according to order, quantity, frequency, etc. Note we update this blog daily. Created 15 / 3 / 2010. 24 /6 / 2010 – – 70 007 hits at 7.42 a.m.
29 /6 / 2010 – – 79 995 hits at 5.55 a.m.
3 /7 / 2010 – – 89 919 hits at 6.31 a.m. 3 /7 / 2010 – – 90 182 hits at 5.55 a.m.
7 / 7 / 2010 – – 95 295 hits at 6.30 a.m.
January 15th, 2011 – – 150 073 hits at 12.09 p.m.
ONE year later March 15th, 2011 – – 171307. OUR NEXT TARGET now is serving you . . .
We carry a variety of products to name just a few : baked goods, sweets, candy, chewing gum, preserves, chocolate drinks hot and cold, beverages with or without alcohol, pasta, wine, cosmetics, soaps, essential oils, oral hygiene, and much much more. 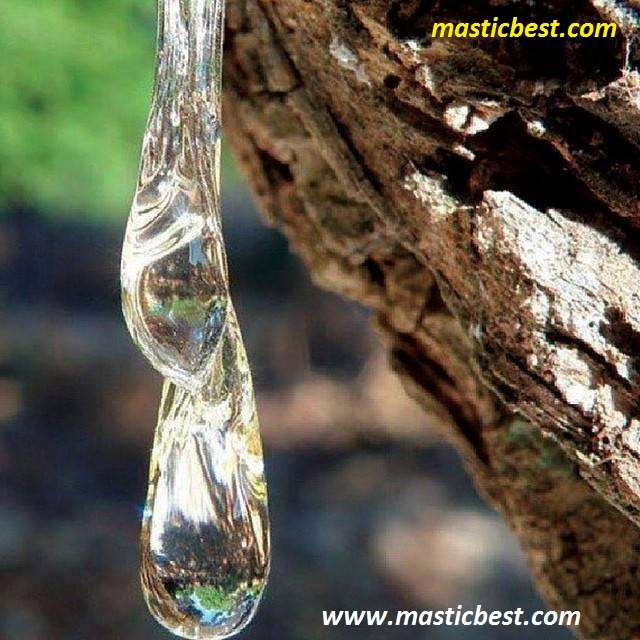 Mastic Mastiha (Greek): Μαστίχα) is a resin obtained from the mastic / mastiha tree (Pistacia lentiscus). in pharmacies and Nature shops it is called “arabic gum” (not to be confused with gum Arabic and “Yemen gum”. In Greece it is known as the “tears of Chios, ” being traditionally produced on that Greek island, and, like other natural resins is produced in “tears,” or droplets. 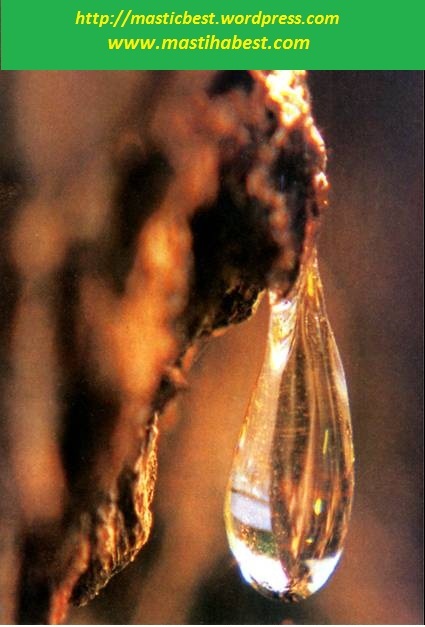 Originally liquid, it is sun dried into drops of hard, brittle, translucent resin. When chewed, the resin softens and becomes a bright white and opaque gum. The word mastic derives from the Greek verb mastichein “to gnash the teeth”, origin of the English word masticate. The word for mastic is a synonym for “gum” in many languages. The rarity of mastiha and the difficulty of its production make it expensive. As a result, imitations in the form of other resins appear in the market, sold as “mastic,” such as Boswellia or Gum arabic. Other trees such as Pistacia palaestina can also produce a resin but it is not the same as mastiha. Other substances are sometimes used in place of mastiha, such as pine tree resin and almond tree resin. – Some companies worldwide mix Chios Mastiha / Mastic Gum with other substances like flour, sugar, starch, corn flower and they are selling it as Mastiha / mastic gum powder – so be very careful when you hear a cheap price – something doesn’t sound well. Many companies buy or use very low quality of Mastiha gum and you the buyer pays for something that is not proper for your health if you have any questions write to us and we will supply all those companies. From Europe to Asia, North and South America, Africa and Australia. We supply our customers all necessary data and I.D. 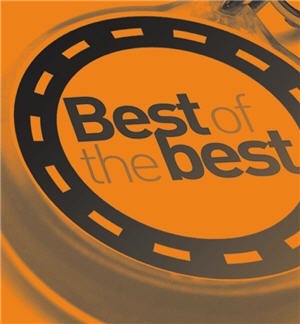 for the best product. There are 18 grades of Mastiha from very poor quality to the Best Mastiha AAA. That’s why when you order we ask what are you going to do with Mastiha / mastic gum so that we can offer you the best type for you. We don’t carry the poor quality. Mastic has been used as a medicine since antiquity and is still used in traditional folk medicine of the Middle East. In Ancient Greece it was given as a remedy for snakebite, and in India and Persia was used to fill dental cavities. The first century Greek physician Pedanius Dioscorides mentions the healing properties of mastic in his book De Materia Medica. Hippocrates wrote that the mastic is good for prevention of digestive problems and colds and Galenus suggested mastic was useful for bronchitis and improving the condition of the blood. For more everyday applications, mastic was highly valued in medieval times by sultans’ harems, as a breath freshener and tooth whitener. Mastic contains antioxidants, and also has antibacterial and antifungal properties. A Nottingham University study published in the New England Journal of Medicine claims that mastic can cure peptic ulcers by killing Helicobacter pylori bacteria. Other studies have indicated mastic has only a modest ability to eliminate H. pylori, but also suggested that refining mastic by removing the polymer poly-β-myrcene may make the active components, in particular isomasticadienolic acid more available and effective. Mastic may also have some value in preventing tooth decay and gingivitis as chewing mastic reduces oral bacteria levels. Regular consumption of mastic has been proven to absorb cholesterol, thus easing high blood pressure and reduce the risk of heart attacks. Mastic oil is widely used in the preparation of ointments for skin disorders and afflictions. It is also used in the manufacture of adhesive bandages. In the East Aegean Sea, somewhere in the crossroad between East and West, in the island of Chios, mastiha, a product – legend, is being planted since antiquity, connected with traditions, historical events and cultural exchanges, arriving untouched till nowadays, sculpted with the culture of the Eastern Mediterranean, more powerful than ever thanks to its scientifically proven beneficial and therapeutic unique properties. 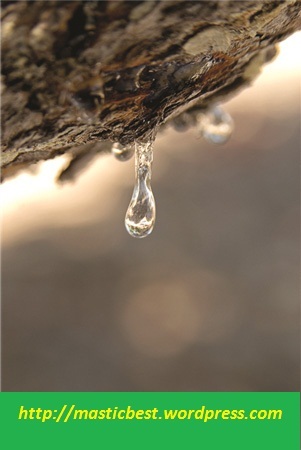 Chios Mastiha is the name of a resinous sap produced from the mastic tree (Pistacia Lentiscus var. Chia). It is a natural, aromatic resin in teardrop shape that falls on the ground in drops from superficial scratches induced by cultivators on the tree’s trunk and main branches with sharp tools. 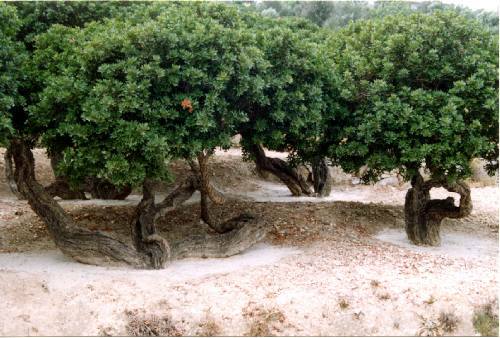 Le Mastiha de Chios est un exsudat résineux provenant de l` arbre à mastic (Pistacia Lentiscus var. Chia). Il s` agit d` une résine naturelle, aromatique sécrétée sour forme de larme, qui tombe par terre goutte à goutte, par les incisions superficielles faites sur le tronc et les branches par les cultivateurs à l` aide des outils pointus. En el este del mar Egeo, en el cruce del Oriente con el Occidente, en la isla de Chios, se crece desde el fondo de los siglos, mastiha, un producto – leyenda, conectado con las tradiciones, las circunstancias históricas y los intercambios culturales alcanza pura hasta hoy, mas potente que nunca gracias a sus propiedades beneficiosas y terapéuticas, científicamente probadas. 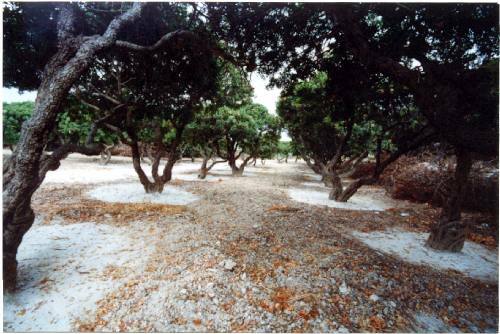 Chios Mastiha (Pistacia lentiscus var. Chia) es la secreción resinosa del arbol de mastiha (lentisco). Es una resina natural, aromático secretadas lágrimas en forma de tronco y ramas grandes del lentisco, las secciones de superficie de los productores Consulares con herramientas afiladas. Ege Denizi’nin doğusunda, Doğu ile Batının birleştiği kavşak noktası olan Chios adasında, efsanelere konu olmuş bir ürün olan damla sakızı ekimi antik çağlardan bu yana gelenekler, tarihi olaylar ve kültürel değişimler ile bağlantılı olarak yapılmakta olup, o zamandan bu yana el değmeden kalmış ve Doğu Akdeniz kültürüyle şekillenmiştir. Bugün, bilimsel olarak kanıtlanmış faydaları ve eşsiz tedavi edici özelliği ile her zamankinden çok daha güçlü bir ürün olarak piyasada yerini almaktadır. Damla Sakızı, mastik ağacından (Pistacia Lentiscus var. Chia, bir tür sakız ağacı) üretilen reçineli bir bitki özünün ismidir. Bu ürün tamamen doğal ve gözyaşı biçiminde bir aromatik reçine olup yetiştiricileri tarafından ağacın gövdesinde ve ana dallarında keskin aletlerle yapılan yüzeysel çiziklerden damla damla akıtılarak toplanır. 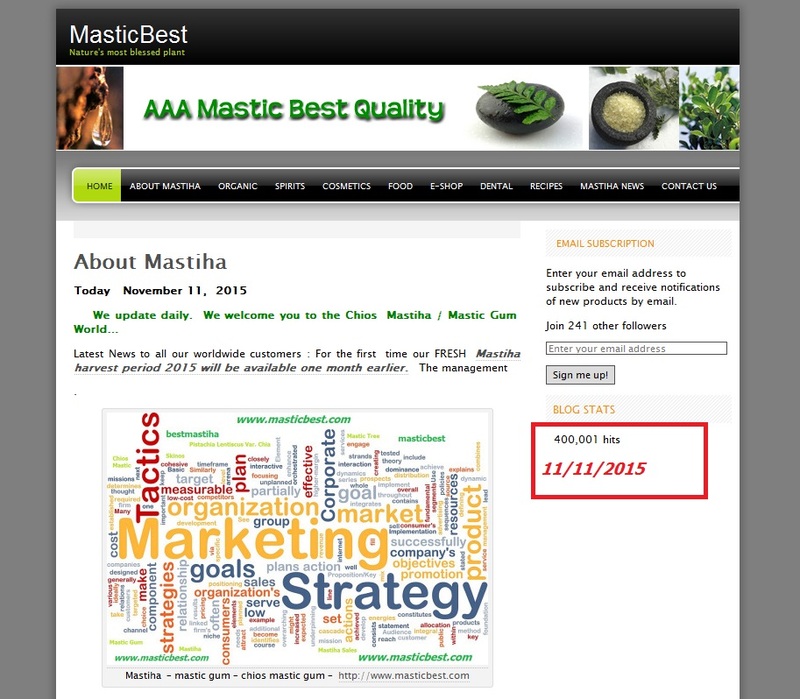 All news concerning Mastiha and this blog will appear under MASTIHA NEWS at the end of the page. Για ΕΛΛΗΝΙΚΑ ΣΤΟ ΤΕΛΟΣ ΚΑΘΕ ΚΑΤΗΓΟΡΙΑΣ. 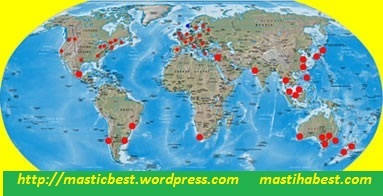 Our Customers / Buyers are located all over the world. Private Label and Promotional Products now available. Worldwide shipping 7 days a week. .Commercial Orders: Please contact us for lowest bulk prices of mastiha and mastiha products. FOB Chios Greece. We Ship Internationally ! We are not responsible for customs / tax tarifs or any other regulations for our products. You and only you are responsible to find out what is needed in your country when importing our products. FOB Chios, Greece. Mastiha is the natural and rare tree resin of the pistacia lentiscus var Chia tree. Scientific research has shown that this resin has anti-oxidant, anti-bacterial, and anti-inflammatory qualities. It has been documented from antiquity for its health benefits, its use as the first natural chewing gum and as a cooking spice. Today, it is still chewed as well as used in pharmaceuticals, cosmetics, and in the culinary world. Chios Mastiha contributes to a healthy gastrointestinal system and has beneficial effects for both oral hygiene and skin care. Chios Mastiha is protected by the European Union as a Protected Designation of Origin (PDO) product. This distinction recognizes the name of a specific region or country where a specific agricultural product originates exclusively due to the geographical environment. This includes the natural and human factors and production, alteration and processes which take place in the delineated geographical area. All PDO products bear the EU symbol designating them as such. Chewing Chios Mastiha is a truly unique experience. To create your own natural piece of gum, select a few medium pieces of the resin, or combine a small piece with a large one. The larger pieces tend to be softer than the small ones, so it is recommended that one chew a mixture rather than chew only the small, hard pieces. Before chewing, let the pieces moisten in your mouth. Mastiha may taste a bit bitter at first, but that taste fades into a light herbal flavor. Begin chewing and Mastiha becomes a white silky color. The resin keeps its hard texture indefinitely and this is precisely why it is recommended for gum health and amazingly clean teeth! Keep chewing the gum for a half hour in order to gain all the therapeutic benefits. Even 1 gram of Mastiha per day for a period of two weeks can cure peptic ulcers. The 2001 announcements (6, 7) confirm the effectiveness of Mastiha against Helicobacter pylori. The results showed that Mastiha at a concentration of 125 mg/ml killed the bacteria in 50% of the examined samples, while concentration of 500 micrograms / ml killed the bacteria in 90% of samples. Similarly, in 2002 a clinical study (9) was published concerning the action of Mastiha against gastritis which caused by Helicobacter pylori. The results of the tests have shown that the use of Mastiha in 48 volunteers is especially effective in limiting the concentration of H. pylori as well as the accompanying gastritis. The conclusion was that Chios Mastiha can be used as an additional means for containing the bacterium and its effects. role in the treatment of digestive complaints in the 21st century. RED Colour = Everything in Red Letters mean Dangerous. We update daily. Look inside for the special coupons. Καθημερινή ενημέρωση. Last Modified : 2018. Today – 08:00 a.m.